The Malankara Mar Thoma Syrian Church often shortened to Mar Thoma Church, is a Syrian Christian Church based in the Indian state of Kerala. Its members are part of the Saint Thomas Christian community, which originated from the missionary activity of Thomas the Apostle in Malankara (historical name of modern Kerala). The Church in Malankara flourished under various ecclesiastical faith streams from time to time. St. Thomas, the Apostle of Jesus Christ is believed to have landed in AD 52 in Cranganore near Cochin, which was at that time an important seaport on the Malabar Coast, having trade connections with the Middle East in those days. F.E. Keay in his book, A History of the Syrian Church in India, has established, from the mention in the book of Kings, of the articles brought to the court of King Solomon from India, that even before the time of Christ, there was trade between the Malabar Coast and Palestine in spices and luxury articles like ivory. Therefore, it was quite natural for Thomas to come to India with the Gospel as the disciples went to different parts of the world in accordance with the commission given to them by Jesus Christ. In the true Apostolic tradition he preached first to the Jewish settlers in and around Cochin, and then worked among the Hindus. Through the ministry of the Word and the many miracles which tradition attributes to him, he brought many high caste Hindus to the Christian faith. It is believed that he organized 7 Christian communities for the use of these Christians, and ordained presbyters from four leading families. All these places except Nilakkal are near the sea coast. Nilakkal is in the ghat region near Sabarimala, the Hindu place of pilgrimage. It is believed that Nilakkal was an important trading centre for export of spices and other items like ivory, and the route extended to Tamil Nadu across the ghats. Remains of ancient human dwellings and places of worship are still discernible among the ruins in this area, which is now covered with forests. Many Christian families in Kanjirappally, Ayroor and other places trace their origin to Nilakkal. There is a Mar Thoma Church at Ayroor which is still named Chayal (Nilakkal). Recently a new Church has been built under the joint auspices of all the Christian denominations of Kerala at the site agreed upon by all concerned. This Church has historical significance as the first Church built and dedicated by all the denominations together as a symbol of the heritage from St. Thomas. It is believed that St. Thomas proceeded to the East coast of India and died a martyr’s death at a place called St. Thomas Mount, and was buried at Mylapore in Madras. “The History of the Christian Church in the first century does not depend entirely on historical documents. Tradition is often more true and more compelling than plain historic proof. In this sense St. Peter’s founding of the Roman Church and St. Thomas’ founding of the Malabar Church, may be said to stand on the same footing. Both are supported by traditions which are sufficiently early and sufficiently strong”. The history of this ancient Church during 4th to 15th centuries reveals the fact that it was in friendly relations with the Church in Persia. There is a tradition that a group of 400 immigrants from Persia arrived in Malabar in AD 345 under the leadership of a merchant named Thomas of Cana, known as Knaye Thommen. Mention is made also of another immigration from Persia in the year AD 825 under the leadership of a Persian merchant named Marwan Sabriso with two Bishops named Mar Sapro and Mar Prodh. They landed in Quilon. King Cheraman Perumal gave them land and extended to them special privileges, inscribed on two sets of Copper Plates (in Malayalam “Chepped”). Three of these are still in the Old Seminary in Kottayam and two are at the Mar Thoma Church Head Quarters, Tiruvalla. There was ecclesiastical connection between the Church in West Asia and the Church in Malabar till 16th century. The Bishops who came from Babylonian Patriarchate were Nestorians. Even now there is a Nestorian Church in Trichur, called the Chaldean Syrian Church. They are connected with the Nestorian Patriarch. Though there were such ecclesiastical connections and ministrations, the Church in Malabar was independent in administration under its own Archdeacons. The Portuguese started settling in India with the coming of Vasco De Gama in AD 1498. They established their power in the 16th & the 17th centuries. This was also a period, which witnessed far-reaching effects of the missionary adventures of the Roman Catholic Church. At this time, the Portuguese were powerful in the eastern areas and had control of the sea routes. The Roman Catholic Church wanted to use this opportunity to bring the Church in Malabar under the supremacy of Rome. A powerful Archbishop Alexio-de-Menezes arrived in Goa in 1592. He then convened a Synod at Udayamperoor, south of Ernakulam, in the year 1599, called the Synod of Diamper for commandeering obedience to the supreme Bishop of Rome. The representatives sent from various congregations were forced to accept the decrees read out by the Archbishop. Thus the Syrian Christians of Malabar, (the Malankara Church) were made part of the Roman Catholic Church under the Pope. The Malankara Church was under Roman Empire for half a century. But many smarted under the Roman Yoke. Gradually the power of the Portuguese empire declined and the Christians yearned for regaining independence. They tried to get a prelate from one of the Eastern Churches to lead the people out of this torpid state of affairs. And when their efforts were proved futile, they declared their independence and shook off the Roman supremacy after 54 years of submission, with the ‘Oath of Coonen Cross’ in AD 1653. That was a historic event, which inscribed a new chapter in the history of the Church in Malabar. What they wanted was to remain loyal to their ancient faith and traditions. Their dream was finally materialized when their Archdeacon, Thomas by name, was duly consecrated with the title ‘Mar Thoma’ in 1665 by Mar Gregorius of Jerusalem who was associated with the Jacobite Patriarchate of Antioch. Thus the Episcopal continuity was restored with Mar Thoma I as the first Indian Metropolitan. Thus began the relation of the Syrian Church with the Antiochene Jacobites. Because of the relationship with the Syrian Church, the Church in Malankara (Malabar) was also known as Syrian Church of Malabar. The throne used for this consecration in 1655 is still in the possession of the Mar Thoma Church and kept in the Poolatheen, the residence of the Malankara Metropolitan at Tiruvalla. It has been used in the installation of every Mar Thoma Metropolitan, to this day, so that the continuity of the throne of Mar Thoma is ensured. Thereafter, Ten Bishops with the title of ‘Mar Thoma’ were consecrated who held ecclesiastical authority over the Malankara Church from 1653 to 1843. Of the ten Bishops, four had assumed the title Mar Dionysius. During the time of Mar Thoma VI, who took the title of Dionysius I, Mar Gregorios, a foreign Bishop consecrated a new Bishop with the title Mar Koorilos. Mar Dionysus raised objections and Mar Koorilos had established his seat at Thozhiyoor, near Kunnamkulam on the British Malabar border. This Church continued as an independent church from that time. This Church maintains cordial relations with the Mar Thoma Church, especially for inter-church consecration of Bishops even on date. By this time, Malankara Syrian Christians had developed close relations with the missionaries sent from Church Mission Society in London. But soon seeds of misunderstanding were sown and cracks appeared in their relationship. This gap widened and ultimately resulted in their parting of ways. With the converts they gained and with the Syrians who joined them eventually, a branch of the Church of England known as the Diocese of Travancore and Cochin was formed (1879). But that was not the end. There was a nucleus of people in the church who longed for the removal of unscriptural customs and practices which had crept into the church over the centuries. They envisioned a reformation in the Church in the light of the Gospel of our Lord. There were two outstanding leaders in this group, one was Palakunnathu Abraham Malpan of Maramon (1796-1845) and the other, Kaithayil Geevarghese Malpan of Puthuppally (1800-1855). Both were teachers in the Syrian Seminary (established in AD 1813 by Pulikottil Mar Dionysius) and had opportunities to come into close personal contact with the missionaries and to share their insights regarding the Christian life and the nature and functioning of the Church as depicted in the New Testament and to imbibe the ideas of the Western Reformation. The group led by these two was very much concerned about the need of a revival in the Church. Palakkunnathu Abraham Malpan from Maramon and Kaithayil Geevarghese Malpan from Kottayam who spearheaded this movement, never wanted to start a separate Church. They wanted the reformation, staying within the Church. This group gradually became vocal and approached Col. Fraser, the British Resident, with a memorandum in 1836 . But since nothing came of it, Abraham Malpan decided to take action in his own parish of Maramon which was sympathetic towards his ideas of reform. He translated the liturgy of the Holy Qurbana into local language Malayalam from Syriac and also eliminated from it the prayers for the dead and invocation of saints etc. He celebrated Holy Qurbana in his church using the revised St.James liturgy on a Sunday in 1836. This was tantamount to firing the first shot of the reformation. He later on removed from the church the wooden image of a saint reputed to have miraculous powers, and in whose honor an annual festival was held that brought in huge income to the Parish. Both at Maramon and at the Syrian Seminary at Kottayam, and in the neighboring Parishes of Pallom and Kollad, Abraham Malpan popularized Bible teaching and preaching. Abraham Malpan and Geevarghese Malpan had to give up their service in the Seminary, in 1840. Since then Abraham Malpan concentrated his attention on the work of reform, holding Bible classes and prayer meetings and instructing the deacons who were loyal to him. All importance be given to the primacy of the Word of God. The new Metropolitan went to Trivandrum and tried to obtain the Royal proclamation declaring him as the Metropolitan of the Malankara Church. Chepat Mar Dionysius opposed this. Mathews Mar Athanasius got the royal proclamation in 1852 declaring him as the Metropolitan of the Malankara Church. Abraham Malpan died at the early age of 49 years in 1845. Having received the Royal proclamation, Mathews Mar Athanasius made himself more active and involved in the cause of reformation. Years later a group led by Pulikottil Joseph Mar Dionysius who was consecrated by the Patriarch of Antioch worked vigorously against him and his attempts to continue reformation. Mathews Mar Athanasius, consecratd his cousin Abraham Malpan’s son, as Thomas Mar Athanasius in 1868. The reformed party had possession of the Syrian Seminary as Mathews Mar Athanasius had been declared as the Malankara Metropolitan. The Partriarch of Antioch himself came to Kerala in 1875. A prolonged litigation followed, as to who was the rightful Malankara Metropolitan. Mathews Mar Athanasius died in 1877 and Thomas Mar Athanasius had to carry the burden of conducting the court cases, for the possession of the Syrian Seminary and Church property. This case was decided in the royal court of appeal in Trivandrum, in 1889. 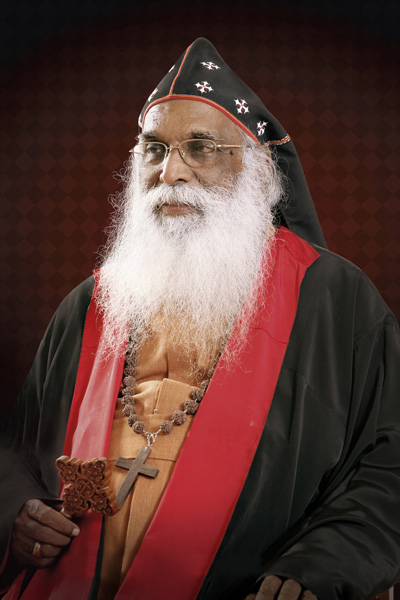 Two judges decreed that Joseph Mar Dionysius was the rightful Metropolitan of the Malankara Church as he expressed allegiance to the Patriarch of Antioch. One Christian Judge gave the verdict in favour of Thomas Mar Athanasius because of his conviction that the Malankara Church has been an independent Church from the beginning. The majority view prevailed and Thomas Mar Athanasius had to leave the Syrian Seminary and the properties there, because he upheld the autonomy of the Church. 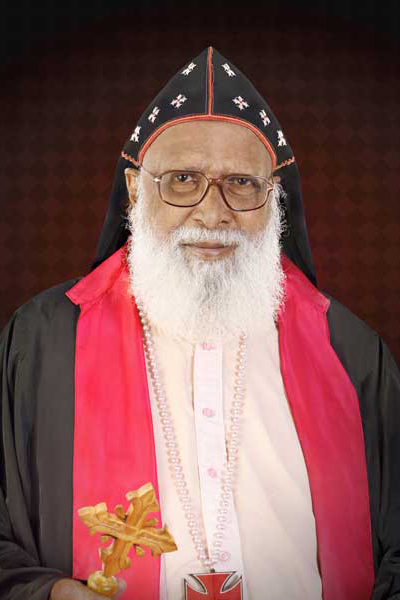 It was suggested that Thomas Mar Athanasius would be recognized as Malankara Metropolitan, if he agreed that future consecrations of Bishops should be by the Partriarch of Anticoh. He did not agree to this proposal as it was against the autonomy of the Church. Even though the reform party lost their hereditary and rightful possession, it became the occasion for the people to turn to God and to go forward in faith, trusting in the power of God. This led to a spiritual revival and great joy in spite of difficulties. It was this spiritual fervour which sustained the people. The Maramon Convention (Evangelistic Meeting) was started about this time in the year 1896. The famous Maramon Convention which we have been holding annually for over a century, is a source of great spiritual power and inspiration for innumerable people. The losses were forgotten in the zeal of spiritual fulfillment. The concern for the spread of the Gospel gave momentum to the reformation movement. The successive Metropolitans of the Church also continued in the same spirit, with the help of dedicated clergy whose leadership and sacrificial lives have been deeply appreciated by the people in the Church. Though the reformists succeeded in introducing the revised order of worship and successfully discontinued many practices, they had to pay a heavy price for achieving the desired result and had to face serious mental and financial strains arising out of the prolonged legal battles. 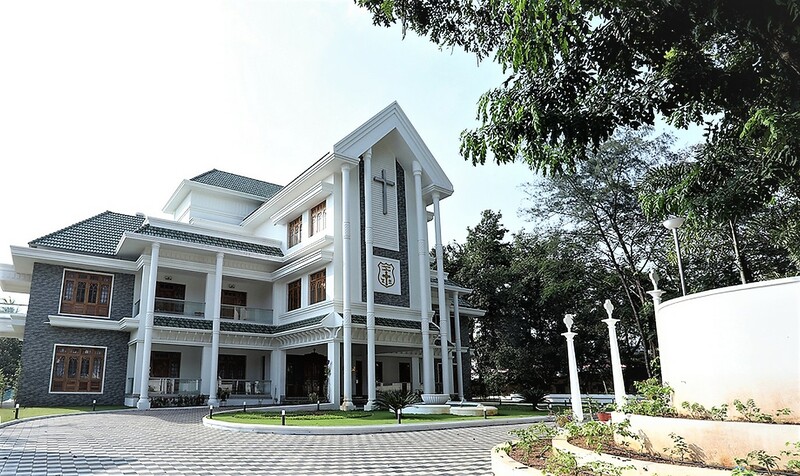 In pursuance of the judgment handed out by the Royal Court of Appeal, Bishops consecrated by the reformists group lost control of the Malankara Church and had to vacate the Syrian Seminary at Kottayam, considered as the headquarters of the Malankara Church. Our forefathers, however, did not lose heart. On the contrary, the material loss and humiliation suffered by them infused renewed vigour and hope in their minds and gave them the confidence to start rebuilding the Church from scratch, laying their trust in God almighty. There has been a phenomenal expansion of the Church during the last six decades, widening its frontiers to various countries of West Asia, Africa, North America and Western Europe. The Church has now 1223 parishes including congregations, divided into thirteen dioceses. There are 13 Bishops including the Metropolitan and 852active priests (and 185 retired priests). It has a democratic pattern of administration with a representative assembly (Prathinidhi Mandalam), an executive council (Sabha Council) and an Episcopal Synod. The Church has been active in the field of education and owns Colleges, Higher Secondary Schools, Vocational Higher Secondary School, High Schools, Training School and other educational institutions owned and managed by individual parishes. The Church has social welfare institutions, destitute homes and Hospitals. The Mar Thoma Tehological Seminary (Estd: in 1926) and other Theological Institutes cater to the theological education of both the clergy and the laity. Further, there are Study Centres, for arranging regular study programmes and to provide opportunities for creative dialogue between church and society on various ethical, moral, social and religious issues. The religious education of children is looked after by the Christian Education Department – the Sunday School Samajam (organized in 1905) and the work among youth is carried on by the Youth Department – the Yuvajana Sakhyam (organized in 1933). 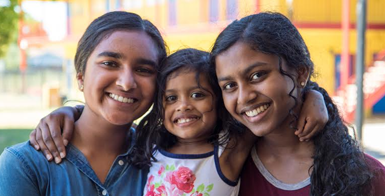 The Church has a women’s department – the Mar Thoma Suvisesha Sevika Sanghom (organized in 1919) which is vigorously active. The Church actively participates in the programmes of the World Council of Churches, the Christian Conference of Asia, the National Council of Churches and the Kerala Christian Council. It is in full communion with the Anglican Church, The Church of South India and the Church of North India and has cordial relations with the various denominations of the Christian Church. The Church actively co-operates with the C.S.I. and the C.N.I. through CCI (Communion of Churches in India). The Mar Thoma Church is financially independent and maintains its indigenous nature. Its regular work as well as special projects are almost entirely financed by contributions from its members at home and abroad. While the history of the Church especially during the last century shows advance and growth in various directions, it will be admitted that there is little room for complacency. In the life of the individual as well as the community, we lag far behind the standard set by our Lord. The Church is in need of renewal in Spirit in order to become more effective and useful instrument in His hands for the extension of His Kingdom. As members of the Church let us therefore surrender ourselves under the mighty hand of God so that He may exalt us and use us for His glory in the years to come.